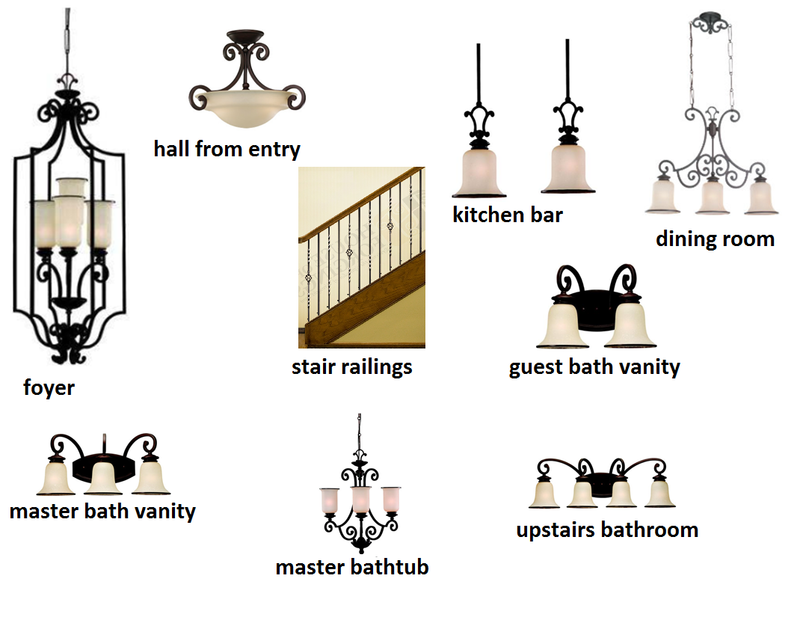 There were a few steps in making the selection of our light fixtures. First, we got recommendations from a custom shop on sizing for each room. Next, we chose a finish – “oil rubbed bronze”. From there, I searched numerous websites until I finally found a hall lantern I liked for the foyer. Since this was the largest fixture, I started with it. Once I found it, I realized that I really liked the whole collection and that made it much simpler than trying to find corresponding pieces from different collections. Additionally, we decided on a basic pattern for the stair railings. I love the look of all of it together! 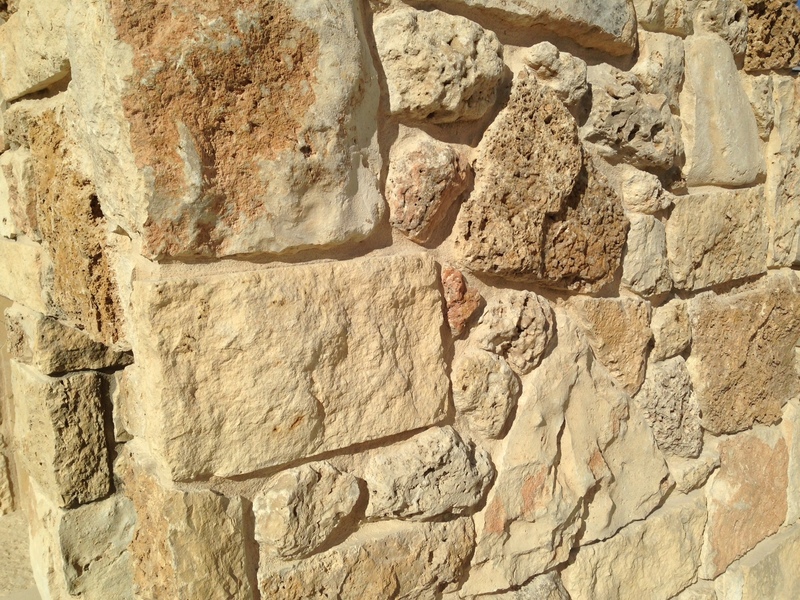 This weekend we selected our stone veneer pattern. It is called “Mountain Field Stone”. We will choose a complimentary color stucco for the balance of the exterior. 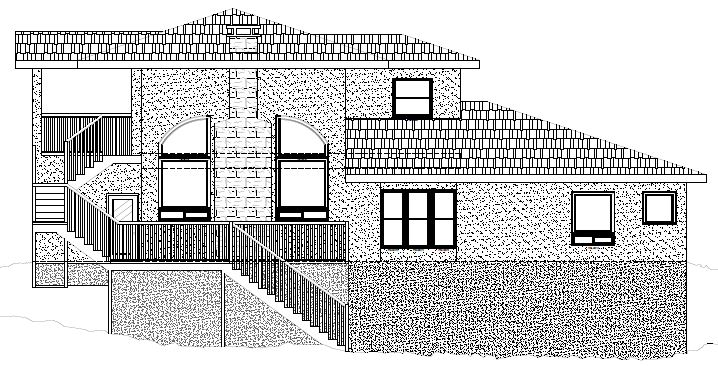 We also got our preliminary exterior elevations from the Architect. We’ve submitted a few minor tweaks to the window shapes & sizes, then we’ll be good to go. 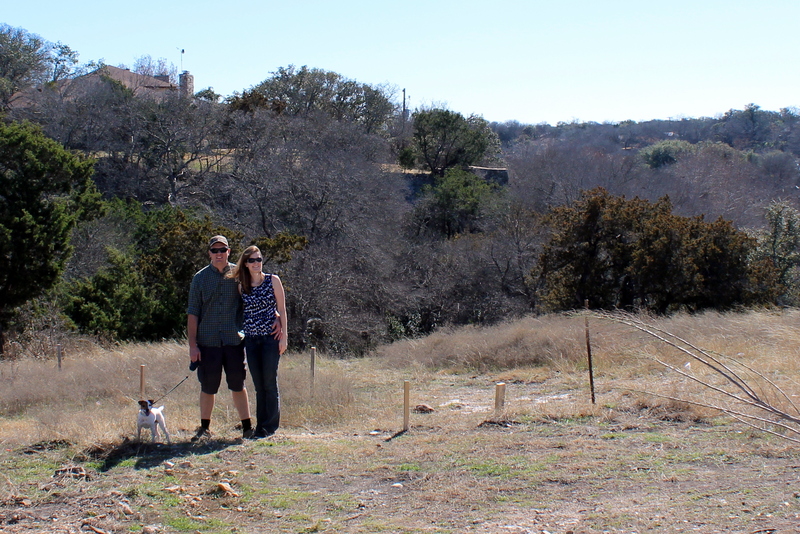 Here we are standing in front of where our front porch will be one day! We’re anticipating signing a contract with the Structural Engineer this week & getting the design back from him within 3 weeks.